It is with great joy that we can announce that our Design Development phase of the building project has been completed, and with the diligent work of architects and engineers we not have a complete, site-specific plan and design for the new church building (down to details such as curb type in the parking lot, electrical outlet placing, and type of lighting in the bathrooms)! We have also raised enough funds to cover the final stage of the planning phase, which is the architectural drawings and blueprints. Thank you to everyone who has made it possible for us to get this far. May the Lord always remember you in His kingdom! Before us is now the task of developing the site, and raising funds for the actual construction of the temple! 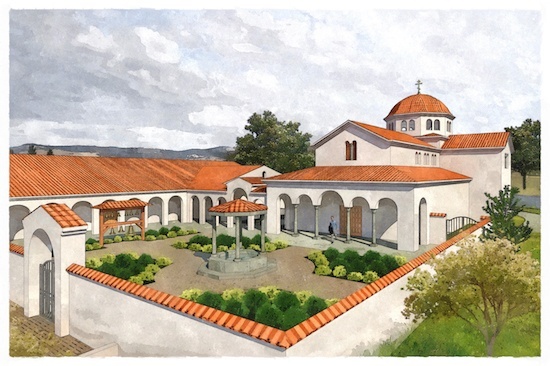 This is a very exciting milestone, and we invite anyone to come alongside us on this exciting journey to build an Orthodox Church to the glory of God in Ashland, OR!